Ekantipur.com has one channel named 'Ekantipur News'. The website has a medium global rank which is 33 925. 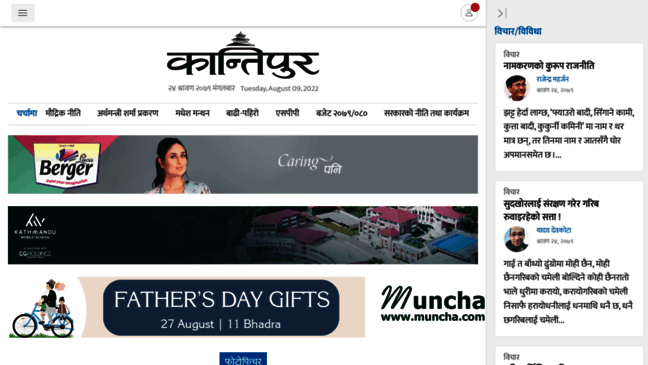 E Kantipur is a traffic-intensive website with 30.6K visitors daily. According to analytics provided by MyWot, ekantipur.com is trustworthy and child safe.